Psychologies Magazine is the positive living bible focused on all aspects of personal potential and wellbeing, offering genuine food for thought and tools for living.Covering in-depth articles on today's society, relationships, happiness, parenting and family advice, health, self knowledge and communication, Psychologies has something for every woman!Each issue also includes a Q&A section which offers advice to readers on the different issues women face, exclusive and interesting interviews with celebrities, latest news on beauty and fashion, travel, food and wine and much, much more. 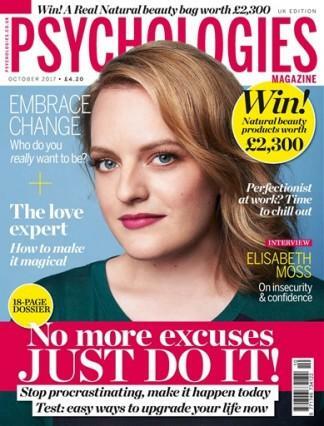 Psychologies is a unique magazine and is an essential read for all women. Loved this magazine, very interesting articles - lots of thought provoking pieces.